The Tranquila family is looking for some hoarders to help us out with all kinds of different tasks! Down below a list has been added with (currently) open jobs for certain items, how much we are willing to pay for it and why we are in need of it! If you would like to help us out, message me or Elisthetic in game or via discord! Happy hoarding! Bricks Per single chest $4000 /double $9000! We're looking for around 4 double chests, though more is always welcome! We're using brick blocks for the town buildings and roads! Terracotta Per double chest $400 Around 8 double chests, preferably white/neutral colour We'll use it for our buildings! Wool Per double chest $600 Around 4 double chests, preferably the primary/secondary/tertiary colours + white! We'll use it for our buildings and colorful shops! Cobblestone A trade; cobblestone for stone! Discuss in game! We use cobblestone to build & are lazy pricks with Silk Touch! Changes or additions to this list can be made at any point in time, so keep an eye on this post! Re: Tranquila is hiring hoarders! Hello once again! The Tranquila family is currently looking for some players aka slaves to help out with our latest project! We are currently mining a 100x100 area down to bedrock for grinders and farms underneath our town! You get to keep the materials you mine, free night vision potions while mining and the repair of your tools and armour will be taken care of! Of course there will be other people mining as well to keep you company in the local chat. Besides this, the area is covered in haste beacons. Mining rewards depends on the amount of work done over a certain period of time. If you would like to help us out, message me, Brenda, Elisthetic, krxsk or Eagler1997 in game or via discord! Happy hoarding! Tranquila is hiring water heroes! Hello once again! 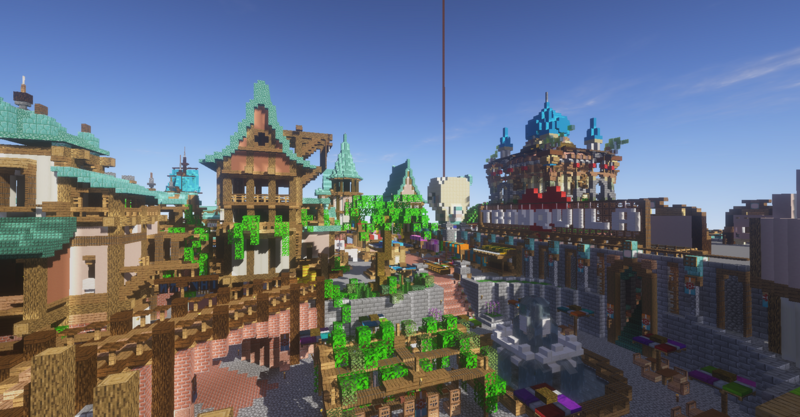 The Tranquila family is currently looking for some players who would love to help out with screwing over some sea temples! The builders of the town of Tranquila love to build with prismarine. Dark prismarine, prismarine bricks, regular prismarine.. you name it! We're looking for some players who would love to help us out once again! We'd like to receive as much dark prismarine as possible. Free night vision potions, haste II potions and water breathing potions will be provided when you mine with us! Besides this, as usual, the repairing of your tools and armour will be taken care of by our precious town. If you would like to help us out, message me, Brenda, Elisthetic or krxsk in game or via discord! Happy hoarding! ps. Thank you all for helping us mining the 100x100 area down to bedrock in such a short period of time! pps. We'll also buy some prismarine if you don't want to mine with us..depends on your price. ppps. We're currently looking for dark prismarine, but if you are bored and would like to mine with us, don't hestitate to ask!